Bible study is a necessary foundation for a life of loving God, living faithfully and learning His ways. We all need as much time with the Bible as possible. Bible Study at Alexander Vordzorgbe’s House. Bible study indeed is an integral part of our Christian living. In today’s fast moving world where people don’t seem to have enough time for everything let alone the Word of God, it is essential for Bible believers to close their ranks even as the world neglects God and His Word and is inundated with stuff that doesn’t really matter for the salvation of souls. There is therefore the need to inculcate into believers the culture of studying the Word of God as a lifestyle so we can grow in grace. The world is already saturated with many programs (according to worldly standards) for teaching the Bible. Churches’ hold programs to cater to this need but still the world is steadily growing cold (or weary?) towards the Word of God (i.e. The Bible). How can we then ensure that interest in the Bible is sustained? We have to take a cue from the age old adage that states that “Charity begins at home”. Our families matter in the affairs of the Kingdom of God. 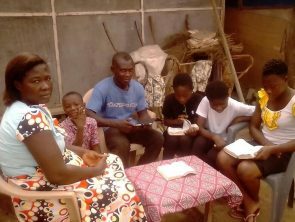 Starting and maintaining a regular family bible study at home holds the key to ensuring that we learn more about God’s Word, hear sound teaching and grow in our faith. It is with this understanding that when brother Charles Hocker revealed unto us the Lord’s direction to start a Bible study with brother Alexander Vordzorgbe and his family at their home, we gladly embraced it and started in earnest. Weekly meetings on Sunday evenings were commenced. Bible Study with the children. 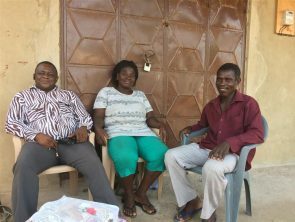 Brother Alexander and his family live in a shack at a suburb of Ashaiman known as Lebanon School junction. Their home is by the roadside. As they do not have a living room it was decided that the Bible study would take place outdoors. While there are a lot of distractions and noise from passing vehicles and people, nevertheless the meetings have been a success. Brother Alex, his 4 daughters (Grace, Ivy, Comfort & Comforter) and his son Jude have all partaken. 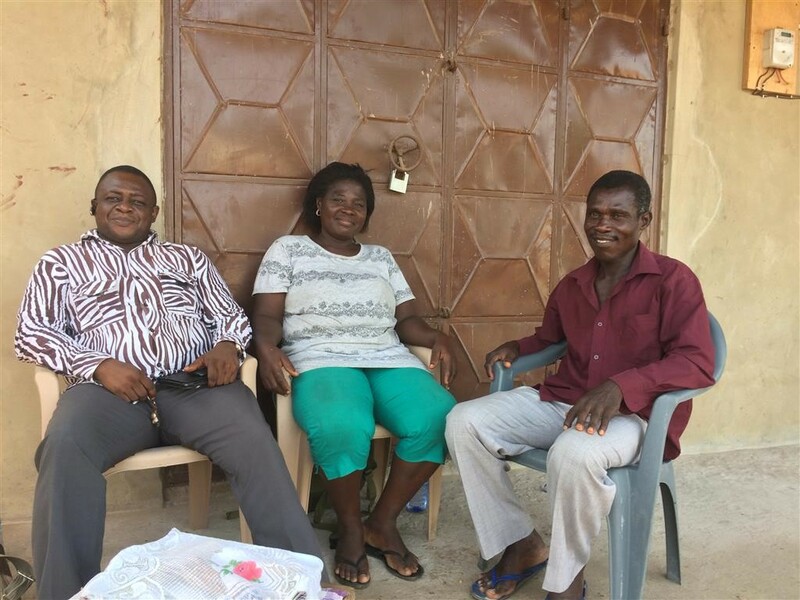 Alex’s wife, Mercy, began with the group at the first meeting but excused herself in subsequent meetings to attend to other matters. 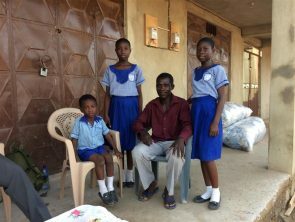 Two of the older daughters (Grace and Ivy) left to Senior High schools in different towns. The remaining two girls (the twins, Comfort and Comforter) and their younger brother Jude persists in their attendance and have shown great interest in the weekly one hour meetings. So far we have studied Genesis and are currently studying the Gospel according to Matthew. You’d be surprised at the kind of insights the Lord is revealing concerning His Word. Of particular interest and encouragement to me is the sustained interest of the kids in the Bible study. Some of the children who attend Bible Study. Their questions are very insightful and provoke animated discussions on the various topics that spring up during meetings. There is no doubt that the Lord takes delight in all who desire His Word especially children. At one point during Jesus’ earthly ministry, some children were brought to Him so that He could lay hands on them and pray for them (Matthew 19:13). The disciples tried to turn the children away, but Jesus said, “Let the little children come to me, and do not hinder them, for the kingdom of heaven belongs to such as these” (verse 14). It is our wish that this home bible study would be replicated in many Christian homes to give families strong word knowledge so they would grow in grace and stature in the Lord.